UBS calls allegations of wrongdoing "completely unfounded"
Bernie Madoff has cancer and little time left to live, according to the New York Post. 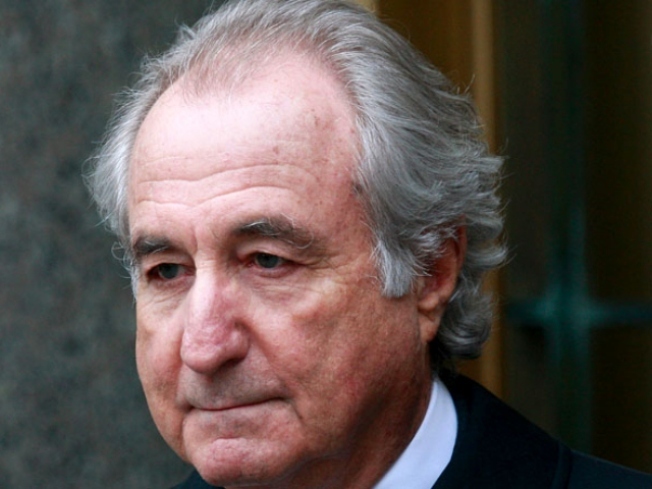 Did UBS help disgraced Ponzi schemer Madoff steal from investors through use of so-called feeder funds? The Madoff trustee sued UBS Wednesday for more than $2 billion, claiming the banking giant helped Madoff get cash from investors even though UBS had warning signs of possible fraud at the time. Irving Picard, who is working to recover funds for the victims, filed a civil suit claiming "23 counts of financial fraud and misconduct against UBS AG and related entities and individuals." "The allegations of wrongdoing in the press release are completely unfounded and without merit," the bank said in a statement. "We have not been served with the complaint yet. We regret that the Trustee filed this unwarranted complaint and will take all appropriate steps to demonstrate that the allegations are false." Picard alleged UBS actively assisted Madoff and his Ponzi scheme. He said the firm sponsored feeder funds that gave Madoff the appearance of legitimacy. "Luxalpha" and "Groupement Financier" were two of the funds, the suit in federal bankruptcy court claims. UBS said that the Luxalpha fund was created at the explicit request of wealthy clients who asked for a tailor-made fund to allow them to continue investing their assests with Madoff. "These clients were represented by sophisticated financial institutions being fully aware of the nature of the investments," the company said in the statement. Picard said UBS’s own research and due diligence revealed "indicia of fraud," yet he claims the bank continued to have Madoff control assets sent by the investors of Luxalpha and Groupement Financier. "Madoff’s scheme could not have been accomplished unless UBS had agreed not only to look the other way, but also to pretend that they were truly ensuring the existence of assets and trades when in fact they were not and never did,” said David J. Sheehan, one of Picard's associates. UBS said that the investors involved with the Luxalpha knew that the sole purpose of the fund was to facilitate investments with Madoff. The bank also said the fund's documentation made it clear that UBS was not expected to be responsible for any safekeeping of the assets, and that the paperwork contained an explicit waiver to that effect. "UBS does not have responsibility to these shareholders for the unfortunate results of the Madoff scandal," the statement said. Some of the court filing is being kept secret by the bankruptcy court at the request of UBS lawyers. Picard said all allegations of fraud contained in the filing should be publicly released. "Unfortunately, they are still trying to shield this information from the public by designating all of their information as confidential. We intend to move to have that designation removed and the complaint made public as soon as possible,” said Picard.